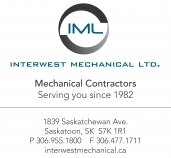 Any individual, firm, or corporation that is active in the construction industry in Saskatchewan and is primarily engaged in general contracting, sub-contracting, the manufacture and installation, or supply and installation of construction material or equipment. Full members pay the full-integrated fee. Full members have all rights and privileges including voting and ability to sit on the Board of Directors. Where a Full Member has obtained membership in more than one association with which the SCA has an integrated membership agreement, that Full Member shall designate one association as their primary, through which their Full Membership is retained. All other memberships for which that Full Member is eligible in the SCA shall be designated as Affiliate. Any individual, firm, corporation, association, or organized body engaged in, allied to, or having an interest in the construction industry in Saskatchewan, and that does not qualify as a Full Member may be eligible to be an Associate Member. An example of a member that would fit into this category is: a hotel, accounting firm, law firm, government agencies or insurance companies.